Dr. Gallitano joined the faculty of the College of Physicians and Surgeons at Columbia University and the staff of New York- Presbyterian in 2017. She is an Assistant Professor of Clinical Dermatology and the Director of Milstein and Allen Hospital Inpatient Consultation. She received her undergraduate degree from Washington University in St. Louis and her medical degree from University of Illinois College of Medicine. She completed her medical internship at New York University Hospital and completed her Dermatology residency at SUNY-Downstate where she served as Chief Resident. 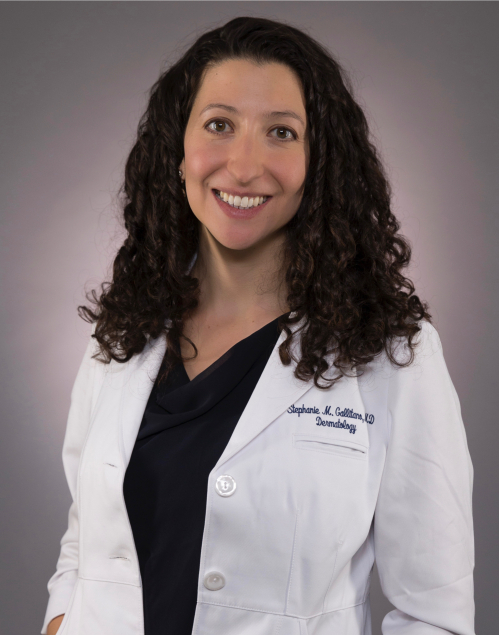 Dr. Gallitano is active with the Women's Dermatologic Society, the Society of Dermatology Hospitalists, and the American Academy of Dermatology. She has authored numerous articles in medical dermatology and has lectured at local and national conferences. She has a strong interest in medical dermatology including inpatient dermatology, autoimmune disorders, infectious disease, and women's dermatology.